The city's growth has led to major traffic. Use public transportation, bikes, car2go, Uber, pedicabs, or your own two feet to get around whenever possible. 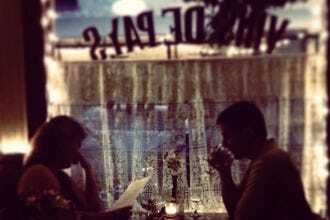 10 Best Italian Restaurants in Austin, Texas: Tiramisu, Cannoli, Lasagna, Cacciatore, Ah, Mi Amore! Trying to find the best barbecue in Austin? 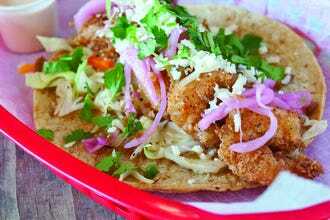 It is a major food group and pretty much an art form in Texas, and 10Best has you covered. 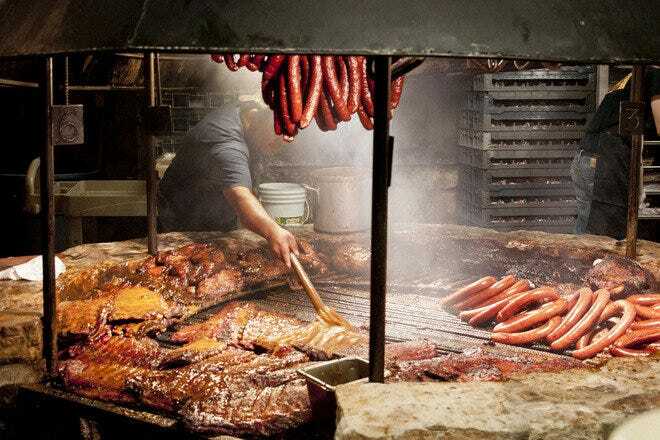 Our editors search the city and surrounding towns (many of which have a barbecue legacy), and ask for locals' recommendations, to find the top BBQ spots around Austin and Central Texas. Keep in mind that these are not rated in any particular order; and we readily admit that in selecting only 10, there are other equally terrific barbecue restaurants not on this list. 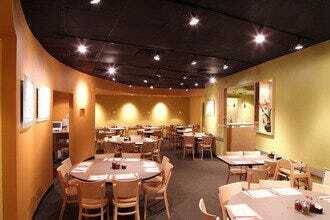 Here we've showcased restaurants with a national reputation such as Franklin, and we highlight eateries with great user reviews, like Freedmen's and Stiles Switch. 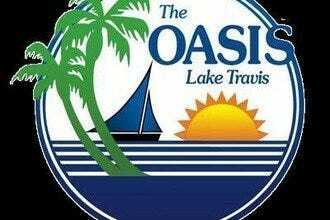 We've covered a large geographic territory, from East Austin and the University of Texas area to nearby towns famous for their barbecue, such as Driftwood and Lockhart, so that you not only get terrific dining recommendations, but you also have choices to boot. Some of these spots have been around for generations, and some are newer; and we've highlighted both restaurants and food trailers. 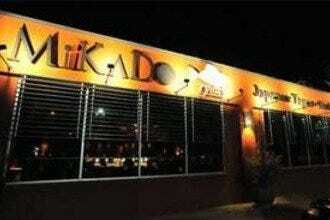 After all, if you're going to eat, you may as well do it right and take advantage of Austin's best. It may be a little out of your way (about 30 minutes outside of Austin), but you won't want to miss one of Texas' most famous barbecue restaurants. 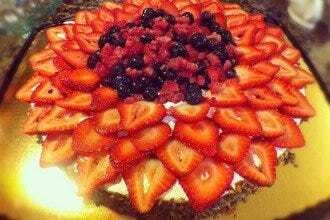 The Roberts family recipes have roots back to the wagon trains in the mid-1800's. 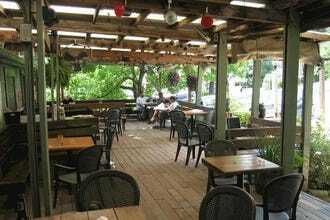 A worldwide reputation and delightful down-home ambiance make the appeal that much greater, and a fireplace makes chilly days more tolerable while picnic tables accommodate diners both inside and out. House specialties include brisket, chicken, sausage, ribs and homemade cobblers. They do not accept credit cards. It's bring your own beer, which is a plus for many people. Freedmen's is situated in a very cool, historic building and is a sort of upscale saloon, offering not only fantastic smokehouse barbecue, but also a beer garden in a picturesque patio and top-notch handcrafted, retro-inspired cocktails. They also have a very unique feature: The Whiskey Wall, with an extensive collection of whiskies from around the world. The bar inside is actually an early-1900s South Texas soda fountain counter, which tells you a lot about the ambience of this place. Happy Hour is from 4 to 7 pm, Tuesday through Friday, and includes $2 Lone Star Draft & Pabst Tallboys, $3 Whiskey of the Month, $2 Off Glasses of Wine and Well Drinks, and $5 Barbecue Sammies. Customers under 21 are welcome for dinner. Dogs are welcome in the beer garden and on the patio. The beauty of Texas barbecue is that it's so intrinsically delectable, you don't need sauce to bring out the flavor. Kreuz Market, in fact, doesn't even offer any, and you won't find much in the way of side dishes, utensils, plates or condiments either. 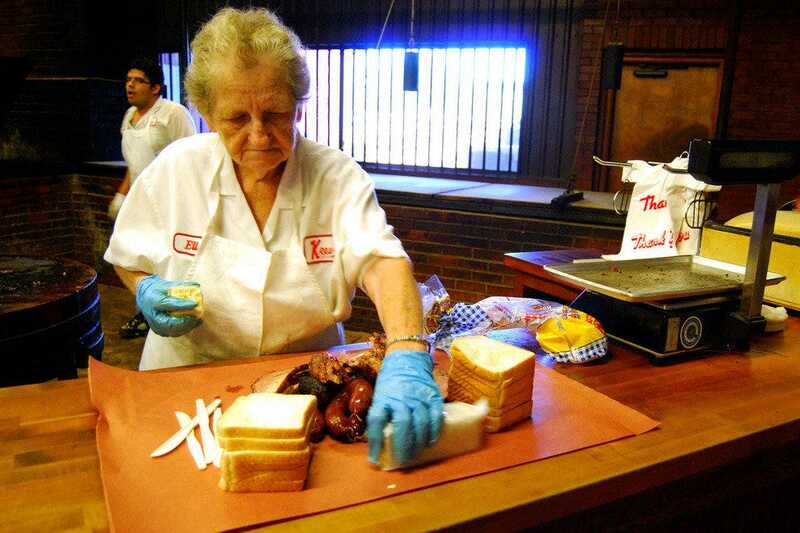 What you will discover is what many consider to be the finest barbecue this side of the Mississippi, all ordered up right at the pit, placed on butcher paper with soda crackers or white bread and lovingly devoured by legions of fans. If you want to jazz up said meat, simple adornments like jalapenos, pickles, onions and tomatoes suffice. A favorite for over a hundred years. If you've got time to be leisurely, this place is well worth the 40-mile drive from Austin. Since 1946, Louie Mueller and his family have been smoking briskets, jalapeno sausages, ribs and other meats over a giant pit in the middle of the building, typically selling out before closing time. Like true barbecue joints, the place is a bit dingy from years of smoke, and standard dining accoutrements (like plates) are absent, but when you're sinking your teeth into a chunk of meat so elementally delicious, who cares? 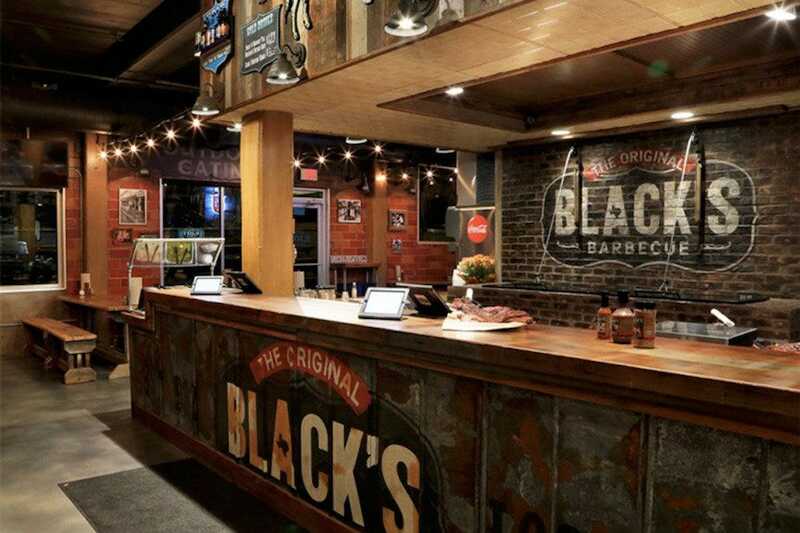 Ranked one of the top 25 barbecue places in the world. 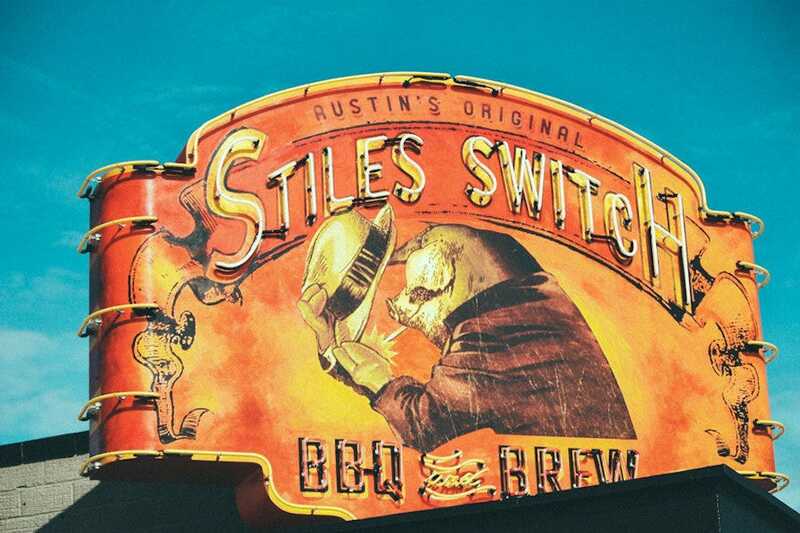 Stiles Switch BBQ & Brew, set in the historic art deco 1950s Violet Crown Shopping Center on N. Lamar, is designed to host a nostalgic atmosphere that transcends back to the old Austin neighborhood style eatery which combines exceptional Texas BBQ , great atmosphere, and cold Texas craft brews. Another key feature of the concept includes the craft brew features on tap. 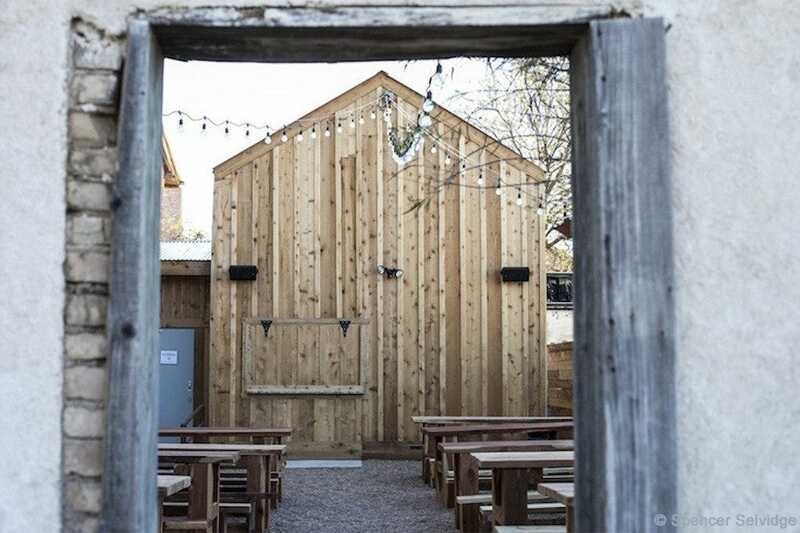 Stiles Switch BBQ & Brew, celebrates the local and Texas craft beer scene by hosting a variety of Austin craft brew favorites from the likes of new and established local breweries, as well as stocking the favorite domestics for the not so adventurous. 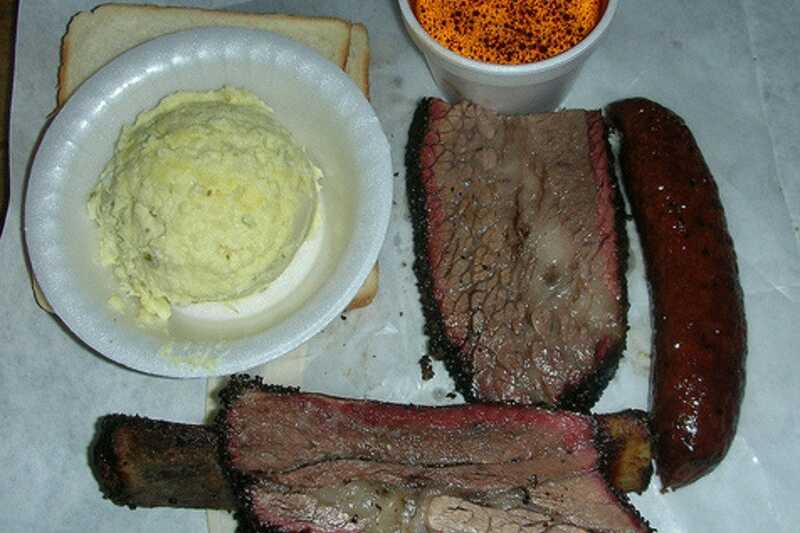 Black's BBQ is one of the original favorites of Texas barbecue, with a longtime location in Lockhart (about 45 minutes east of Austin) where the Black family has been making barbecue for three generations. 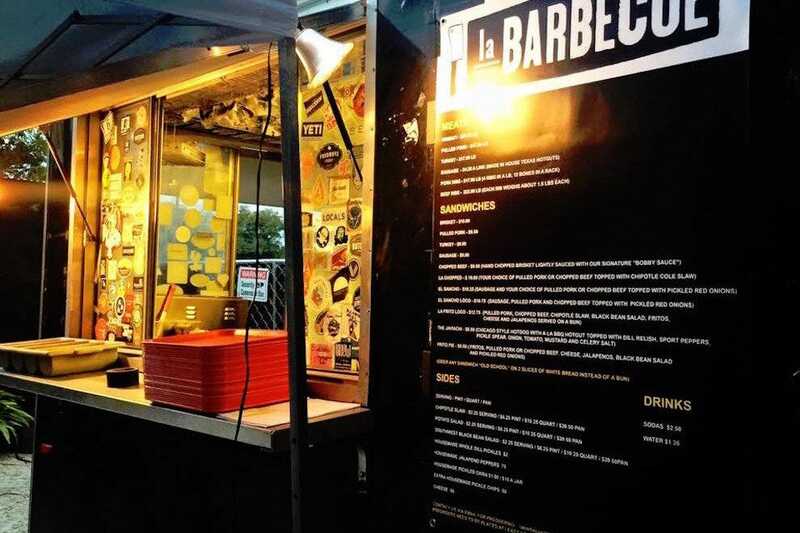 Now, an Austin location in the UT area has got a lot of barbecue fans in this city very happy. Offering seven different types of meat - including brisket that is smoked for 14 hours - the Austin location also puts out unique spins such as Waffle Wednesdays. Every Wednesday at 5 pm, they serve chicken and waffles, Black's BBQ Style: Slow smoked over Post Oak Wood, the chicken stays juicy and the skin crisp with the smoky taste of Texas BBQ. The waffle is Barrett Black's unique creation with a crispy, slightly sweet, flaky exterior with a rich soft interior that contrasts nicely with the smoky, juicy chicken. Located in a food trailer at the Aztec Food Park in East Austin, La Barbecue's head pitmaster Esaul Ramos smokes briskets, ribs, and sausages that people line up for. Former pitmaster John Lewis (now concentrating on a barbecue place in Charleston) once worked at Franklin and also alongside John Mueller, so this place has major history and experience behind it. While La Barbecue can definitely have lengthy lines, they move quickly and don't rival the multiple-hour wait that is usually to be found at Franklin. Every day since Franklin Barbecue opened for business as a modest food trailer in 2009, it has sold out of its famous brisket. 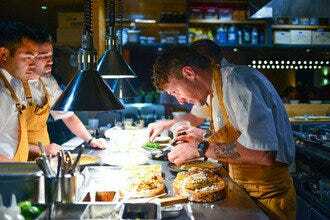 After a showing in the movie "Chef," mentions in the New York Times and a nomination for the James Beard award, Aaron Franklin's food is even more heralded. 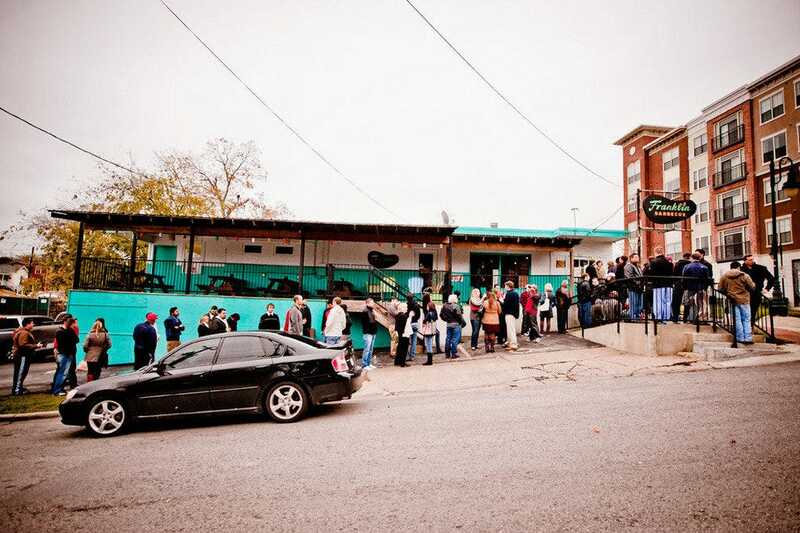 The barbecue here has been heralded as some of the best in the country, and even with the larger brick and mortar location, you'll still find a line out the door more often than not - often with waits of three or four hours. The consistency is amazing, and although the lines are not something most people would brave frequently, Franklin's is a can't-miss experience at least once for barbecue lovers.